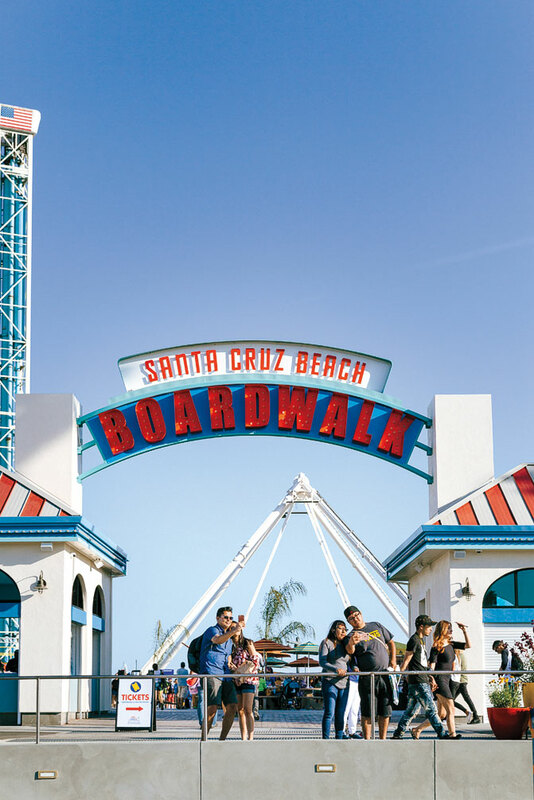 The boardwalk may be the marquee attraction in Santa Cruz, especially since its recent $14 million revamp. But the truth is the city’s mix of surf and nostalgia extends beyond the saltwater taffy and Skee-Ball. About 2 miles inland, new businesses are popping up in largely untapped neighborhoods such as Midtown. Like the boardwalk, the strip in and around Soquel Avenue keeps things retro-modern, with spots to have a drink, catch a show, or find a locally carved skateboard and call it a souvenir. Take the kids, or not—after all, adults deserve a day of old-fashioned fun too. Get a fresh look: Montgomery’s Barber Shop (831/431-7704) is a textbook red, white, and blue shop with a rockabilly kick. It does up cuts the locals swear by. Roll back the years: Reminisce around the rink at the Santa Cruz Roller Palladium (). On weekends, there’s an excellent chance you’ll participate in a wheels limbo contest. Park it: The old-timey Santa Cruz Beach–Downtown Trolley () shuttles you from the Wharf to downtown. So what if it’s got a truck engine? For 25 cents, we’re in. News splash: The Monterey Bay National Marine Sanctuary Exploration Center () opened near the Boardwalk in summer 2012. Walking through a kelp forest is a good way to pass time between meals. Hike like a local: At Pogonip park (), just east of UC Santa Cruz’s campus, the redwoods shoot sky-high. To get into the thick of things, park your car where Spring Street dead-ends and hop on Spring Trail. Hang a right at the Lookout Trail, and it’s all forest and wide-open meadows. Either way you go, you’ve got 9 miles of path and green space to play in. Play farmer for the day: Don’t let the name scare you off. The Center for Agroecology and Sustainable Food Systems at the UC Santa Cruz campus is lightning bolts of fun. The country’s best sustainable farmers come here to train, but you don’t have to quit your day job to wander the field and gardens. 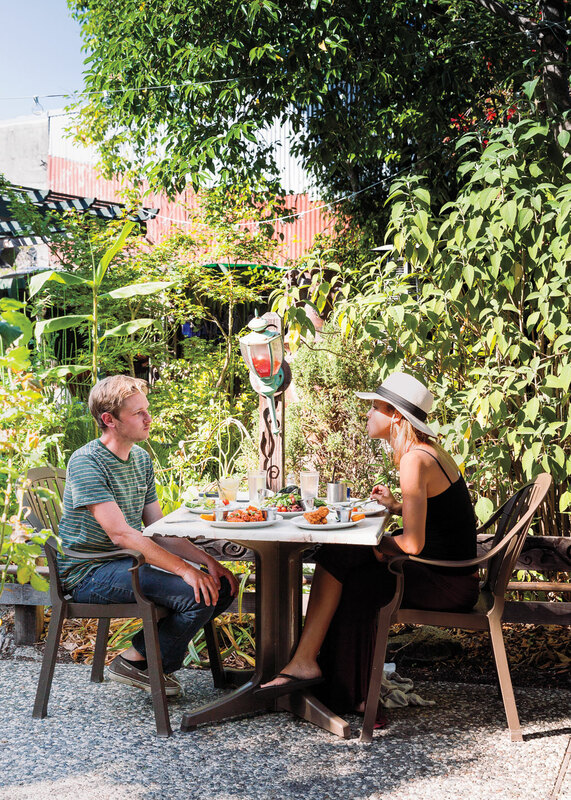 Grab a brochure for a self-guided tour of the edible paradise. Directions at . Sugar highs: Pull the trigger on a galette or twist from the counter at The Buttery (). Then park it on the lawn, where people-watching is good and plenty. Old-school eats: Garlic fries at the Santa Cruz Beach Boardwalk (), which opened over 100 years ago. New-school classic: The coffee at Verve Coffee Roasters (3 locations; ), served by a barista who knows the average rainfall at the Guatemalan farm where your beans were handpicked. Earn your lunch: The 15-minute walk to Earthbelly () is worth it. The non-GMO restaurant puts out a vegan vibe, but carnivores need not fret: It offers a BLT and barbecue beef sandwich, as well as an organic burger. So Santa Cruz: Find kombucha on tap and locally sourced lunchables at River Cafe. $$; 415 River St.; 831/420-1280. Pull over and eat: At the Truck Stop, chef Fran Grayson cranks out soulful, street food–inspired dishes from her shiny 1976 Chevy catering truck. You won’t want to miss her Venezuelan arepas, stuffed with eggs, ham, and cheese, much of it sourced from nearby farms. $; 831/621-7361 for location schedule. Your new summer staple: The Penny Ice Creamery does a killer float. It’s one scoop of basil ice cream—made with fresh herbs from Route 1 Farms down the road—and one tall glass of blackberry soda. Watch the former drop into the latter and smile as the slurpy, fizzy goodness unfolds. $; 913 Cedar St.; 831/204-2523. Taste the future: The Picnic Basket serves breakfast, lunch, and dinner, with most ingredients—yep!—sourced locally. That can mean chicken from Fogline Farm seasoned with house-cured onions tucked between two slices of sourdough from the Companion Bakeshop. They call it a chicken salad sandwich. We call it the new Santa Cruz. $; 125 Beach St.; 831/427-9946. Cocktails and snacks: Head over to The Crepe Place (), and order the Famous Last Words—vodka, honey lemonade, Chambord—to take back to the enchanting patio. Stay for a turkey crepe and live music or a movie screening. One more scoop: You’re on your way home, but one thing’s missing: a scoop and a cone. At Marianne’s Ice Cream (), just outside of Midtown, try the 1020 flavor, a caramel-chocolate-cookie combo. Handmade keepsake: Opt for one from Home/Work (). 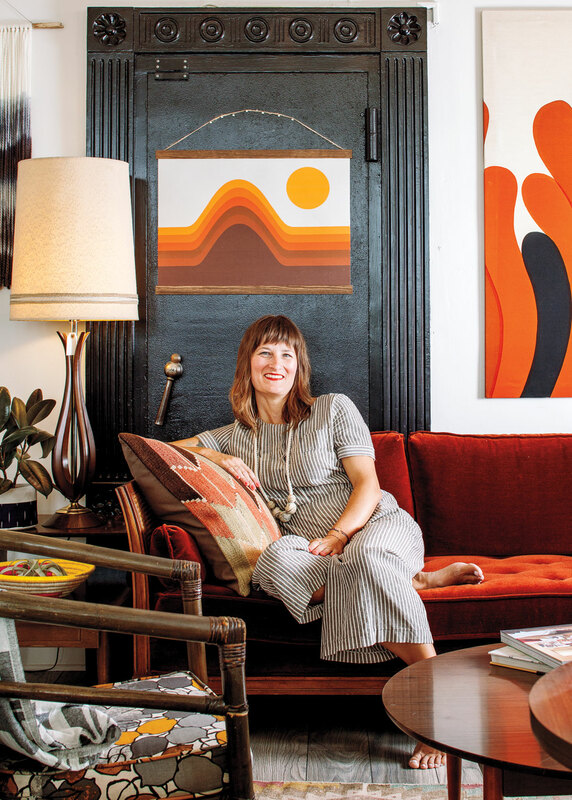 Mixed among vintage wares is a collection of Santa Cruz–made pottery, macramé plant holders, and colorful cutting boards crafted from salvaged skateboard decks. Recess: Childish () has the toys all the cool kids (and their parents) want: rainbow scooter tassels, road-trip bingo, David Bowie coloring books, and more. Let’s roll: Coast on over to Bill’s Wheels Skateshop (). 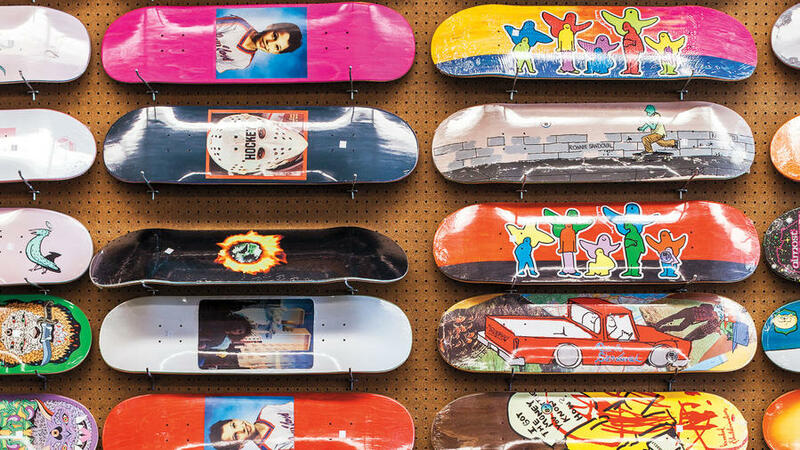 The ramps built around the 40-year-old shop’s shoe displays are faux, so no ollies, please. Cowboy up: Try on some old cowboy boots at Tomboy (). The shop also stocks records and Mexican blankets displayed between cactus and dreamy desert landscapes. Make it a weekend: The refreshed Beach Street Inn (From $199; 2-night minimum; ) has that beach-meets-boutique feel, with great ocean views, and it’s close to the hustle-bustle of the Boardwalk. The bonus: barbecue area and firepit.